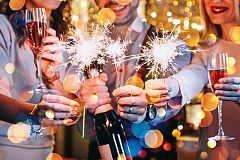 Lively Newcastle is filled to the brim with incredible venues to celebrate your office Christmas party and here, you’ll experience a serious night of festive celebration. 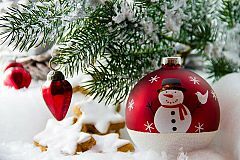 But our Christmas parties in Newcastle aren’t just for corporates – you may be a group of friends, a club or an organisation looking for the ideal venue to provide you with some festive cheer. 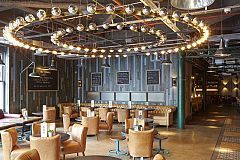 Whether you’re after a restaurant, a stylish bar, a hotel suite or one of the city’s iconic sporting venues, there will be something here that’s just perfect for every single group out there. We only handpick the best venues to be listed on our site, so when you go through the enquiry and booking process, you’ll be in safe hands with each venue’s dedicated events team. From shared and exclusive, to traditional or themed, the biggest decision you’ll have to make this year is what Newcastle Christmas party it is that you’d like to go for – make it one to remember this year and get ready to let your hair down! Looking for a shared Christmas party night in Newcastle? Well you’ve come to the right place as we’ve got some excellent options available this year! 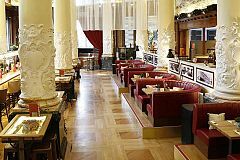 Whether you’re after a sophisticated meal in one of the city’s unique restaurants, a traditional Christmas party night, or a full-party spectacular that’s fully themed, then you’ll be well catered for with the incredible range on offer. 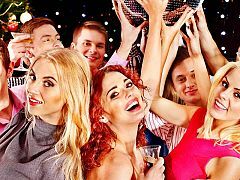 Shared parties (also known as joiner nights) are the perfect solution for those small to medium sized groups that are looking to experience the atmosphere of a larger party night. You’ll come together with other groups to revel in the delights of the festive season! Many of our shared options include sumptuous meals, drinks and incredible entertainment, so have a look and see what package is best for you and your group. 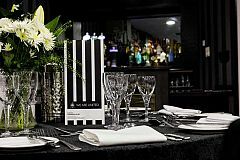 Why not browse our selection of shared Newcastle Christmas parties and experience an evening to remember? 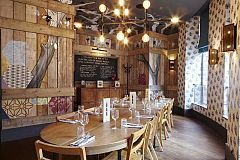 Are you a larger group and after something a bit more private this Christmas party season in Newcastle? If so, then one of our venue's exclusive Christmas parties may be ideal for you. Sharing your event space simply isn’t for everyone, so why not keep it exclusive for just you and your group? 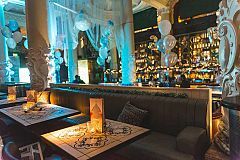 We’ve got a fantastic array of venues offering exclusive Christmas parties in Newcastle this festive period. 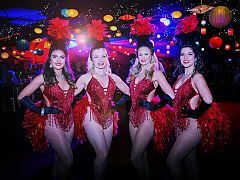 From stylish bars and private dining areas, to traditional dinner and dance events to all out, full-scale themed spectaculars! Whatever you’re after, we’re certain you’ll find it here. The enquiry process couldn’t be easier; when you go to enquire about your chosen party night at the venue, you’ll be assigned a member of their events team who will do all the hard work for you and will oversee the planning and managing of your event. The biggest thing you’ll have to worry about is what you’ll be buying for your secret Santa! Once you’ve found a Christmas party in Newcastle that you like the look of, then all you need to do is send an enquiry through to the venue. But don’t worry, it really couldn’t be easier! Simply fill out the enquiry form on the page and hit send. Your enquiry will be sent straight to the venue, who will be in contact with you to discuss your Christmas party enquiry further. In addition, you’ll also receive an email from us here at Eventa to confirm your enquiry has been received, along with a unique reference number for your records. Dress Code:: Smart/Casual no sportswear.